April 2, 2019 Hearing of the House Science, Space, and Technology Committee - Remarks of Rep. Johnson, Hearing on "A Review of the NASA FY 2020 Budget Request." March 27, 2019 Hearing of the Energy Subcommittee for the House Science, Space, and Technology Committee - Opening Statement of Rep. Johnson, Hearing on "Markup of H.R. 34"
March 27, 2019 Joint Hearing of the Oversight Subcommittee and the Environment Subcommittee for the House Science, Space, and Technology Committee - Opening Statement of Rep. Johnson, Hearing on "EPA's IRIS Program: Reviewing its Progress and Roadblocks Ahead." 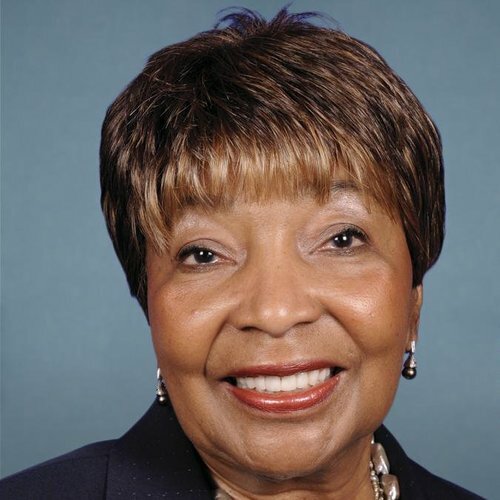 March 26, 2019 Joint Hearing of the Research & Technology Subcommittee and the Environment Subcommittee for the House Science, Space, and Technology Committee - Opening Statement of Rep. Lucas, Hearing on "EPA's IRIS Problem"
March 13, 2019 Hearing of the House Science, Space, and Technology Committee - Remarks of Rep. Johnson, Hearing on "America in Space: Future Visions, Current Issues." March 12, 2019 Hearing of the Research and Technology Subcommitee for the House Science, Space, and Technology Committee - Opening Statement of Rep. Johnson, Hearing on "Engineering Our Way to a Sustainable Bioeconomy." March 7, 2019 Hearing of the Energy Subcommittee for the House Science, Space, and Technology Committee - Opening Statement of Rep. Johnson, Hearing on "Energy-Water Nexus"
March 7, 2019 Hearing of the House Budget Committee - Testimony of Rep. Johnson, Hearing on "FY-2020 Budget"
March 6, 2019 Hearing of the House Science, Space, and Technology Committee - Remarks of Rep. Johnson, Hearing on "Maintaining U.S. Leadership in Science and Technology." Feb. 27, 2019 Hearing of the Environment Subcommittee of the House Committee on Science, Space, and Technology - Opening Statement of Rep. Eddie Bernice Johnson, Hearing on "Sea Change: Impacts of Climate Change on Our Oceans and Coasts"
Feb. 26, 2019 Hearing of the Energy Subcommittee for the House Science, Space, and Technology Committee - Opening Statement of Rep. Johnson, Hearing on "The Future of ARPA-E."
Feb. 15, 2019 Hearing of the Energy Subcommittee of the House Committee on Science, Space, and Technology Committee - Opening Statement of Rep. Eddie Bernice Johnson, Hearing on "The Future of ARPA-E"